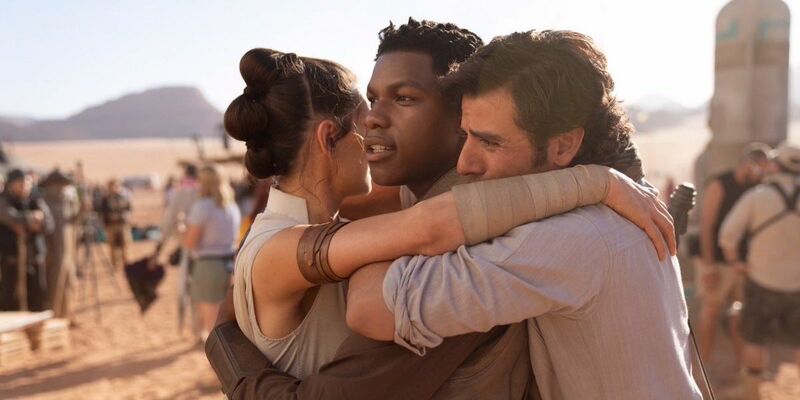 The Star Wars: Episode IX teaser trailer is now available online, revealing the film’s official title. Back in 2015, the Star Wars franchise triumphantly returned with The Force Awakens, the continuation of the classic Skywalker saga that received widely positive reviews and grossed more than $2 billion at the worldwide box office. Four years later, director J.J. Abrams is back to finish what he started (the sequel trilogy) as well as the Skywalker saga itself. When the film began production last summer, Lucasfilm announced it would be the final installment of this particular series. With Abrams at the helm, most expected Episode IX to be subject to the director’s infamous mystery box treatment, but even by Lucasfilm’s standards, things have been extremely secretive. Though filming wrapped in mid-February, the studio had yet to unveil the official title, leading some to believe that was part of their master plan to make Celebration Chicago extra memorable. Now that the big day’s finally here, the curtain’s been pulled back. Today during the Episode IX panel, Lucasfilm debuted the first teaser trailer for the movie, revealing the film’s official title is The Rise of Skywalker.